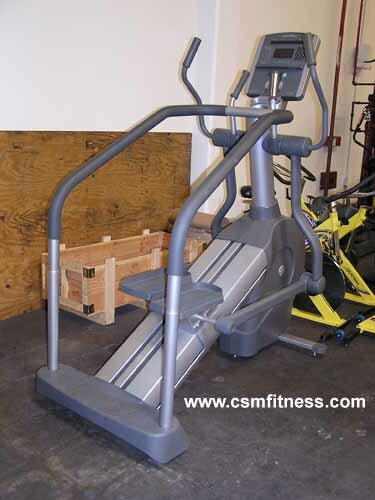 The Life Fitness 95Li Summit Trainer is the first machine to combine the motion of climbing with total-body cross-training. It incorporates five Zone Training workouts that automatically adjust resistance and incline to reach a user’s target heart rate. Its easy-to-use console is designed with the latest entertainment options including iPod compatibility and TV controls. Life Fitness also integrated its Total Body Exercise system which offers users the options of using only the pedals for a concentrated lower body workout, or using the biomechanically moving arms simultaneously for a full-body workout. Additionally, the Summit Trainer’s offers 25 preprogrammed workouts that will keep users interested and motivated throughout their exercises.